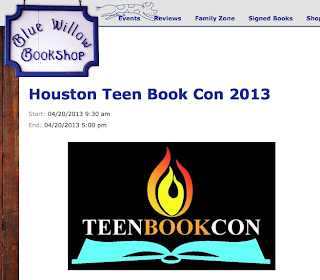 38 authors, Blue Willow Bookstore, and Houston. We’re talking about TeenBookCon on April 20! I’ll be speaking on a couple of panels on looooooove. To read about the entire line-up, check it out here. 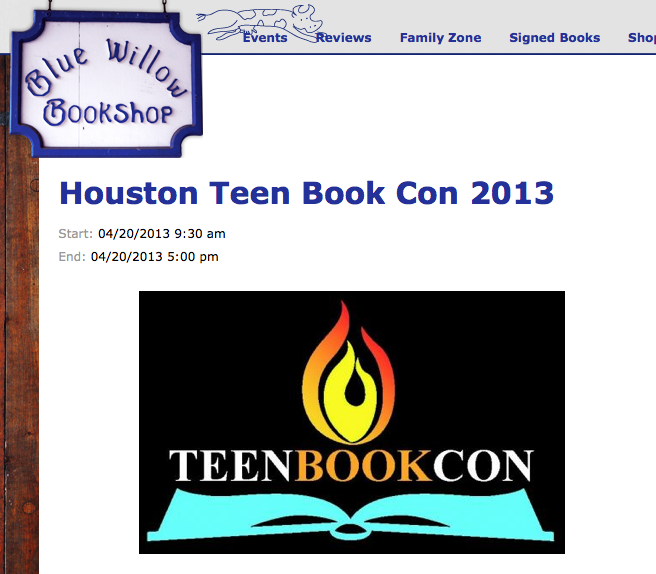 And if the link doesn’t work, look here: http://bluewillowbookshop.com/event/houston-teen-book-con-2013.